Muhammad Ali won many great victories in the ring, but his most important fight was against Parkinson’s disease. More than a boxing legend, Muhammad Ali was well known for his public fight against Parkinson’s disease. 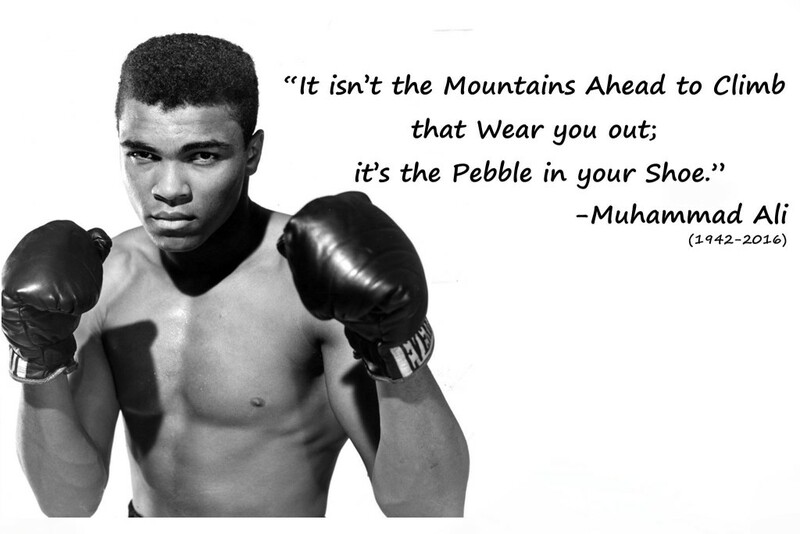 Muhammad Ali’s reputation and achievements have inspired many both in and out of the ring. Fighting Parkinson’s for more than 30 years, he brought awareness and inspiration, along with hope and power to fellow Parkinson’s patients. After years of investigation, researchers and clinicians have identified neither the cause nor the cure for Parkinson’s disease. Not only do the cause and cure of Parkinson’s continue to elude us, but doctors still cannot identify those in early stages of the disease. Consequently, a definitive program for prevention remains uncertain. For those diagnosed with Parkinson’s Disease, components of lifestyle — diet, sleep habits, exercise, recreation, and learning, to name a few — stand alongside medication as important resources in managing the condition. Exercise is an important part of healthy living for men and women with Parkinson’s Disease in Miami. For people with Parkinson’s, exercise is more than healthy and right here in Aventura! It is a vital component to maintaining balance, mobility and the ability to perform activities of daily living. Research shows that learning new things through trying new types of exercise like golf may be particularly good for both the brain and body. Natural alternatives and types of exercise that may help relieve Parkinson’s symptoms and may even slow its progression include activities such as yoga therapy Miami, Pilates, chiropractic, and acupuncture all of which have shown to have positive effects on quality of life. Improvements in balance, gait, stride length, mobility, improved sleep, decreased stiffness, and a general feeling of well being have all been reported by people with Parkinson’s undergoing these types of exercise and natural treatments at our therapy facility in Aventura. Be a fighter like Muhammad Ali, and begin to manage Parkinson’s through natural treatments and exercise. Let us help you!